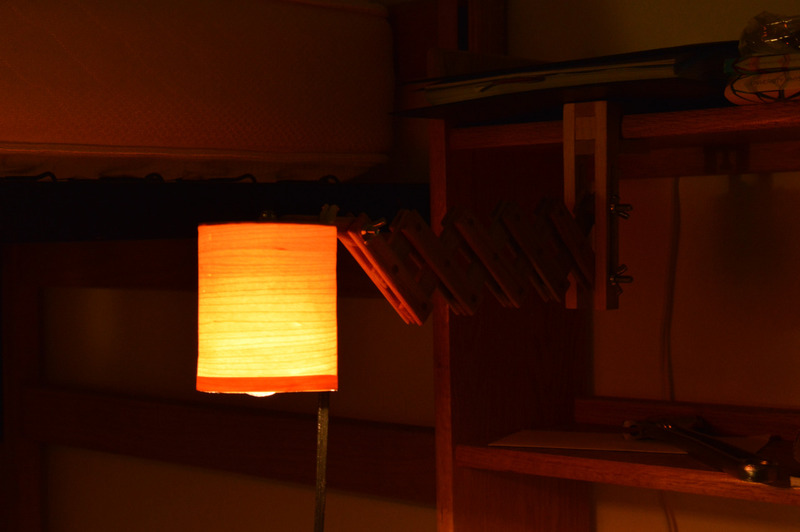 This is a extending scissor lamp that I built for my dorm. It has a bolt that screws onto a shelf. 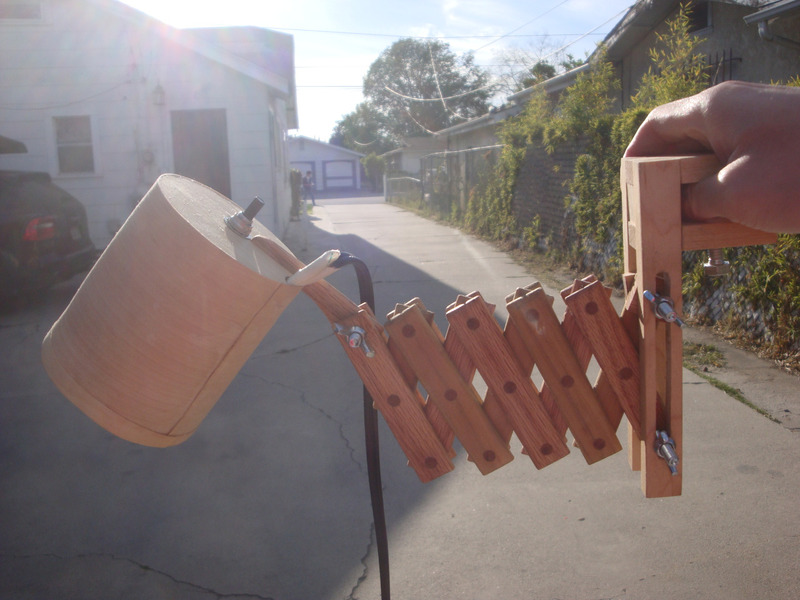 The scissor mechanism was made from poplar and red oak. 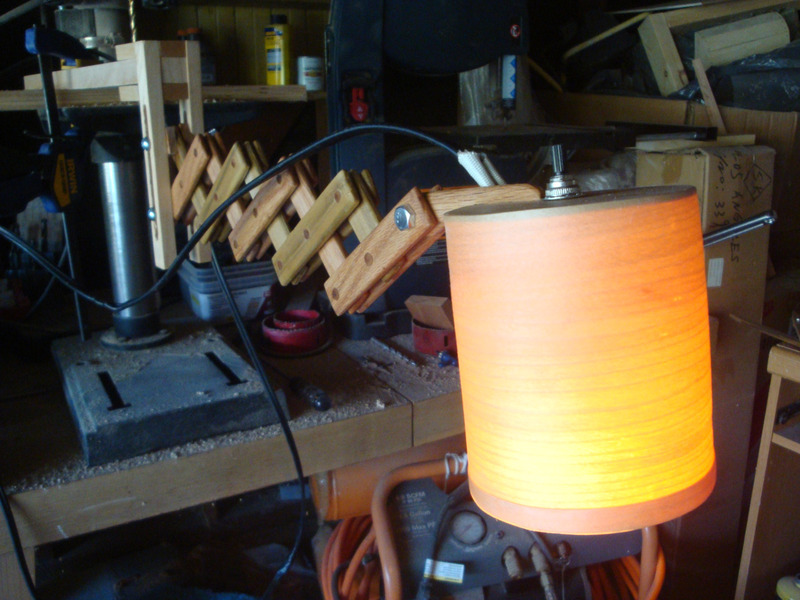 The shade was constructed from red oak veneer that I steam-bent and glued into shape.